The unusual start of this year’s short supplies of available homes, evolved into a “normal” housing inventory, and coupled with later rising mortgage rates, largely eliminated 2013’s earlier pent-up demand for homes. Editor’s Note: This is the second of a two-part look at 2014 by Rick Sharga. Read the first part here. 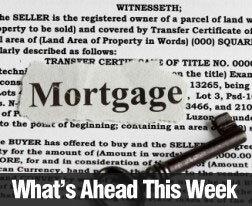 Another complication is lower loan limits proposed by Fannie Mae, Freddie Mac, and the Federal Housing Administration (FHA). These lower limits will make it more difficult for borrowers in high-priced housing markets to get loans. Those who do qualify for loans will pay more—the Federal Housing Finance Agency (FHFA) recently announced hikes in the GSEs’ guarantee fees and a new, higher payment schedule for borrowers who fall within certain FICO and down payment measures. TheFHA has also increased insurance premiums, particularly on its lowest down payment products. Rick Sharga is EVP for Auction.com. Many economists and market observers have suggested the market is poised for continued growth as the recovery enters its third year, and there are positive elements in play that provide some reasons for optimism. Recent loan vintages continue to perform at levels better than historical norms—the default rates on loans from 2011-2013 are virtually non-existent. This has essentially shut off the pipeline of distressed assets, finally allowing the industry to work through the backlog of seriously delinquent loans and loans already in the foreclosure process. States with non-judicial foreclosure processes have had remarkable success in clearing out the inventory of distressed properties, which is one of the factors driving the housing rebound in states like California and Arizona. of dollars of non-performing loan sales have connected distressed borrowers with special servicers, who have managed to modify tens of thousands of loans, preventing more foreclosures. Investor activity at the low end of the market has had two significant effects: first, investors have gobbled up virtually all available REO homes, and begun to purchase rental properties via short sales and trustee sales. Second, they’ve helped accelerate home price appreciation, particularly in many of the markets that were hardest hit during the downturn. This, in turn, has dramatically reduced the number of homeowners in a negative equity position, dropping the number of homes in the so-called “shadow inventory” to much more manageable levels. As home prices have risen, more non-distressed properties have begun to enter the market, helping to ease the inventory shortage of existing homes, and dropping the extremely high percentage of distressed home sales to more reasonable levels than we’ve seen in the past seven or eight years. Builders have noticed the drop-off in distressed property sales and limited inventory, and housing starts for single-family homes have risen dramatically in the last months of 2013. So…home sales are up, prices are up, inventory is improving, foreclosures are dropping, and homebuilding is awakening from its long hibernation. What’s there to be bearish about? Rick Sharga is EVP for Auction.com. Look for the second part of his 2014 commentary on Monday. Whether you are purchasing a new home or you are considering applying to refinance your home, in many circumstances, the lender will require an escrow account. 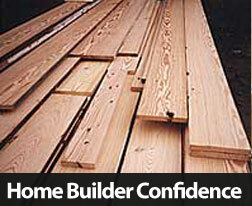 These accounts are often a source of confusion for homeowners. In reality, these accounts benefit the homeowner and help protect the lender. 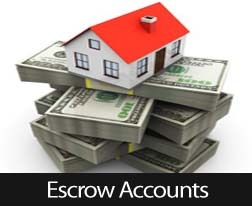 Escrow accounts are sometimes called “impound” accounts. These accounts are set up to help manage payments of property taxes and homeowner’s insurance. Depending on the individual requirements of the lender, you may be asked to pay as much as one-quarter of these upfront and they will be put into the account for the purposes of making payments. Lenders have complete control over escrow accounts. However, homeowners are entitled to receive an annual statement advising them of their escrow balance. If there is an increase or decrease in insurance payments through the year, a homeowner may request the lender evaluate the escrow account and change the amount that is paid. There is no mandate to pay interest on escrow accounts. 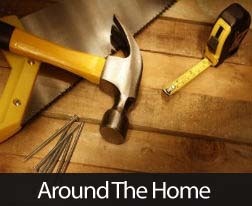 When you refinance your home, the funds for your taxes and insurance are calculated into your overall payment. The portion that is to be used to pay taxes and insurance is placed in escrow. Arizona laws do not require lenders to pay interest on these accounts. If your lender has underestimated your escrow payments, they may request you send an additional payment to make up the difference. In the event you are paying too much into escrow, your lender has the discretion to release the overage amount directly to you. In most cases, shortfalls or overages of $50 or less are typically not a major concern. Mortgage debt increased by a seasonally-adjusted annual rate of $87.4 billion, or 0.90 percent. Mortgage debt remains approximately 12.00 percent below pre-recession levels. Increasing debt is not often considered good news, but in the case of mortgage debt in today’s economy, it suggests economic recovery in the form of higher home prices and fewer foreclosures. Another instance of counter-intuitive economic results was released Tuesday. The Bureau of Labor Statistics (BLS) released its Job Openings and Labor Turnover Survey (JOLTS) report for October. JOLTS indicated that 2.39 million workers quit their jobs in October. This was the highest number of jobs quit since 2008. While this may appear counter-productive to a growing economy, it indicates that workers are leaving their jobs for better positions. On Wednesday the U.S. Treasury announced that November’s federal budget deficit had shrunk to -$135 billion from November 2012’s deficit reading of -$172 billion. This represents a year-over-year deficit decrease of 21 percent. 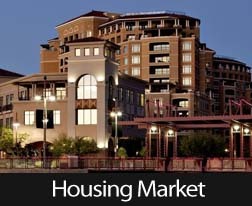 Freddie Mac’s Primary Mortgage Market Survey (PMMS) report provided good news as average mortgage rates fell last week. The average rate for a 30-year fixed rate mortgage fell from 4.46 percent to 4.42 percent. Discount points rose from the previous week’s reading of 0.50 percent to 0.70 percent. 15-year fixed rate mortgage rates fell from 3.47 percent to an average reading of 3.43 percent, with discount points rising from the prior week’s reading of 0.40 percent to 0.70 percent. The average rate for a 5/1 adjustable rate mortgage dropped from 2.99 percent to 2.94 percent with discount points unchanged at 0.40 percent. 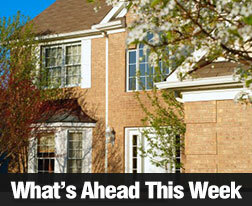 Lower mortgage rates are good news for home buyers facing higher home prices. Weekly jobless claims rose last week. The previous week’s reading of 300,000 new jobless claims was short-lived as the reading for new jobless claims rose to 368,000 last week and surpassed a consensus of 335,000 new jobless claims. Financial analysts cautioned that employment data can be volatile during the holidays, and noted that the four-week average of new unemployment claims rose by 6000 to 328,750. 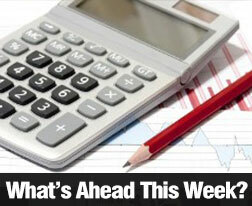 There are several significant releases set for housing-related news. The NAHB housing market index, Housing Starts, and Building permits indicate how current builder confidence and new construction may impact the supply of available homes. 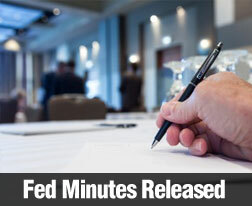 On Wednesday, the FOMC will issue its usual statement at the conclusion of its two-day meeting. Some analysts expect an announcement concerning the Fed’s quantitative easing policy; Outgoing Fed Chair Ben Bernanke is set to give a press conference after the FOMC statement. In addition to the weekly jobless claims report and Freddie Mac’s PMMS, Reports on Existing Home Sales and Leading Economic Indicators will also be released. Your gutters are an important part of your roof, because they allow water to flow away from the roof surface before it causes rot and damage. During the winter, your gutters will be more likely to get clogged with fallen leaves and can get blocked if they are not cleared out. Get yourself a ladder and a friend to hold it for you and clean any leaves, debris and dirt from the gutters. ( DON’T try to do this alone, if you’re working on a 2 story house. I had a friend who was trying to install Christmas lights, who fell from a tipsy ladder, and didn’t survive the fall.) Flush the gutters out with a hose afterward to ensure they are clean. If your gutters have become damaged or leaky, you can use gutter sealant or fibreglass resin to patch up the hole. If you have a lot of trees and vegetation overhanging above your roof, it’s a good idea to trim it back before the winter months. At the moment, it might not be touching your roof – but once it is blown around by the wind it might do some damage. These are just a few important maintenance tasks that you can perform in order to ensure that your roof is in tip top shape to welcome the winter season – and a sleigh pulled by eight tiny reindeer!